Things to do in Fort Myers Beach | Kathy Nesbit Vacations, Inc.
Fort Myers Beach in a town situated in Florida, United States. The town is located on Estero Island and is a part of the Florida Metropolitan Statistical Area. Fort Myers Beach sits on an island, which is seven miles long, consisting of a beach that frames sugar-sand. The place has tropic weather is ideal for vacations and spending time near the waterside. This place is considered as heaven for potential parasailers and kayakers. For the best-ever experience, look out for the best vacation rentals on Fort Myers Beach. Cruising can be done for an excursion to an island or getting familiar with the beach. Cruises help to uncover marine life and watch dolphins while sailing. Estero boat tours for watching the sunset and enjoys the fun play by dolphins are worth every while. Fort Myers Beach is popular for Boston Red Sox spring training game. Therefore, a visit to JetBlue Park for witnessing the same is necessary. The state of the art ballpark is exceptional on its own and is known as a miniature Fenway Park. Fort Myers Beach is a water sports paradise. The most commonly accessed water sports are adventure sailing, dolphin view sailing shelling cruises, express boat tour, adventure water sports, cycle boats, kayaking, parasailing, etc. The combination of table tennis and badminton is pickleball, which is a common sport of Fort Myers Beach. The game has left other places of the United States, but the sport is necessary while visiting the beach. The beautiful beach has over 400 varieties of shells lying around. Shell lovers can spend hours hunting them to collect rarest shells. The resorts often provide complimentary bags for hunting shells. The national shell museum, Bailey-Matthews National Shell Museum in Sanibel Island can also be on the list for visiting. The beach is seven miles long with the white sand coastline. There is no undertow, and the beach consists of shallow water. Therefore, it is ideal for having a long walk while relaxing through the coastline. Captiva Island is another fun place nearby to Fort Myers. The place also consists of a beach with the white sand coastline. Captiva Island is mainly famous for all year long Christmas activities and mermaid play sessions. 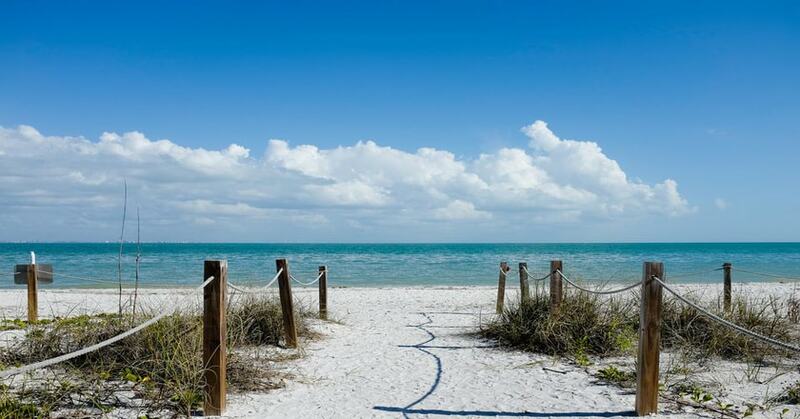 The visit to Captiva Island is complementary with Fort Myers Beach. The place is famous for specialty doughnuts cooked from Bennett’s Fresh Toast. The place is commonly visited by all tourists and is almost a crowd on a daily basis. Beach sunsets are worth watching, and the sunset at Fort Myers Beach is an exceptional scene. It can be viewed sailing through kayak and boat, or simply walking through the beach. The place is well known for brews; therefore, a visit to microbrewery seems very interesting. The famous Fort Myers Brewing Company is a great place for eating at a food truck, playing corn hole, and spending time with family and pets. The place Fort Myers Beach is wonderful for visiting all year long, as the tropical climate is very suitable for enjoying around waterside. Ensure the best-ever vacation with vacation rentals on Fort Myers Beach.